Over recent years in Scotland, we have made ambitious reforms to our curriculum, qualifications, teacher development and professional learning and, parental involvement. SPTC’s role as a membership organisation for parent groups, and the only charity in Scotland whose purpose is to support parental involvement in education, has given us a unique perspective on the changes. We work with parents directly – supporting groups in schools as well as providing individual help and advice on the breadth of issues parents deal with around schools and schooling. We also work at a national level, with government and its agencies, the Scottish Parliament, professional associations and other bodies with an interest in children, families and education, sharing the perspectives of parents and promoting the importance of family involvement in learning. Our message is that – almost without exception – parents want the best for their children. They want their children to achieve more and go further than they did, but the challenge for many families is to translate this ambition into reality. I see it as part of our role to help parents achieve that reality because the alternative is to squander children’s future and deny their contribution to society. The work SPTC does is designed to move that agenda forward – and it’s a focus that our education system in Scotland largely supports, both through legislation and policy. This approach is based on the raft of research which demonstrates that children’s outcomes are better when parents or carers are involved in their learning. One of our challenges is a lack of common understanding around what ‘involved in learning’ actually means in and around schools. In Scotland our local authorities (all 32 of them!) are responsible for running state schools. The Parental Involvement Act of 2006 gives all parents and carers with children at a school the right to create a Parent Council (PC) to represent them and to work with the school staff on their behalf. Most schools have a PC, and most PCs in Scotland’s circa 2500 schools are members of SPTC. I believe one of the most important things for parent groups to focus on is the role they play in helping all parents and carers to be involved in the learning and the school community, because it is this which makes a difference to outcomes for our kids, and particularly those who face disadvantage. That’s why we’ve recently started working on a new initiative called Partnership Schools Scotland (PSS). 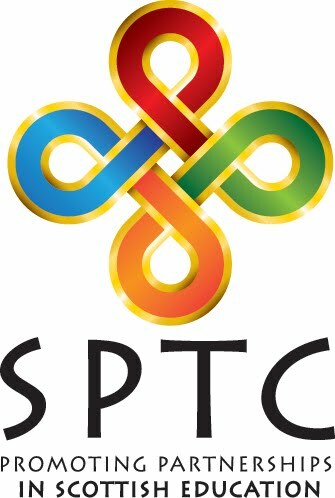 With funding from Skills Development Scotland (the government agency charged with providing career and training advice) SPTC working to build practice around school, family and community partnership. PSS is based on the work of Dr Joyce Epstein and her team at the Johns Hopkins University, who have developed a model for family and community engagement which we are introducing to school communities in different parts of Scotland. Based on the principles of interdependency and shared endeavour, this work focuses firmly on improving outcomes for young people be tapping into the talents and commitment of all those who have the best interests of children at heart. There’s a keen interest in the programme here in Scotland – once we have some results to share, we’ll make sure to spread the word!